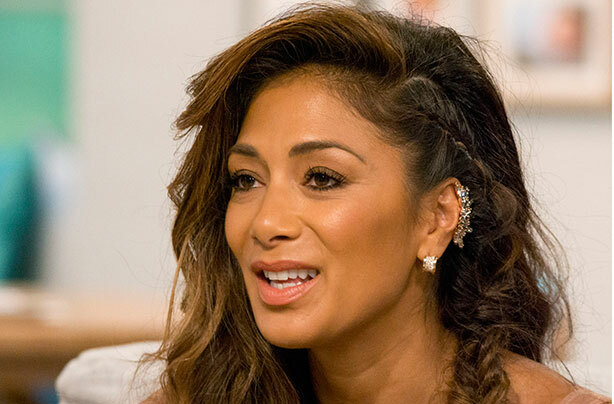 Nicole Scherzinger loves tea and a good Sunday roast – she’s a girl after our English hearts. She fronted one of the best-selling girl groups of all time in The Pussycat Dolls until they split in 2010, stole the hearts of the nation when she joined the X Factor UK for two seasons as a judge in 2012 and has most recently starred as Grizabella on the West End in a celebrated run of Andrew Lloyd Webber’s Cats. Is there anything the Hawaiian-born superstar can’t do? When we caught up with Nicole she was enjoying the sunshine in LA, fresh from a weekend partying at Coachella festival in Palm Springs and shooting her latest add for Müller Püd Corner. Nicole’s latest role saw her take on Grizabella in Cats the muscial. Goodtoknow: How do you keep energized with such a busy schedule? Sleep is key! And lots of water. I also love a good cuppa or a cup of coffee. My new go to thing is coconut water though – I’ll have that in the morning and when I’m feeling low on energy throughout the day. What’s your favourite pre and post work out snack? Bananas or a piece of fruit – I try not to eat too much before a work out so I’ll just have something light. You’re incredibly fit – how do you stay in shape? I’m really into hot yoga right now. I also love to just zone out, listen to music and jog. All you need is a good playlist – especially since the good weather is coming in the UK and there are so many gorgeous parks. I love taking advantage of all those parks when I’m in the UK. What’s the best diet tip anyone’s ever given you? Have everything in moderation. And I have to practice it more myself, but not eating too late at night – it really makes a huge difference. Cheese, turkey, cherry tomatoes, almond milk, a little bit of normal milk for my tea, coconut water, eggs – and all the basics. And a Müller Püd Corner of course! What’s a typical breakfast, lunch and dinner like for you? My favourite breakfast is six-minute eggs with smoked salmon and toast. Or just scrambled eggs with a turkey sausage or turkey bacon. For lunch I’ll have sushi, a sandwich or a salad. And for dinner I love seafood pasta, fish and brown rice and veggies or chicken, brown rice and veggies. Nicole keeps her body red carpet ready with yoga and jogging. I love chocolate, I love those kettle cooked crisps, chocolate truffles. I love the new Müller Pud Chocolate Pud with the chocolate balls because it’s a little healthier, but it still feels light. Oh, and I also love pizza, a good curry and a good Sunday roast! What are your top tips for feeling good? Make a great playlist to inspire you to work out. Try yoga and meditation and pray when you can. Have a bath and a massage to treat yourself – I’m really into aromatherapy so I love bath salts, oils and candles. I’ve got a new show coming up in the US called I Can Do That, which is a one-hour variety and comedy series. And who knows what else the future holds – I definitely want to do more music and I thoroughly enjoyed my time on the west end in Cats. But I’m open; wherever I can be of service and creating some really awesome stuff. Beauty product… Jouer Illuminating Skin Highlighting Moisturiser and Mac’s Highlighter. Make up look… A really good creamy black eyeliner for a good smoky eye. I also love a good contour before you put your bronzer on, on your eyes and your cheekbones and underneath your jaw line – it looks great! Fashion accessory… I love hats. I wear them all year round, but right now I’m putting all my hair up in my favourite hat so it looks like I have short hair. It changes up my look. The star’s current favourite accesory is a big hat. Hairstyle… I love my hair with just a little bit of beachyness – a voluminous Victoria Secret type look – like Bridget Bardot meets surfer girl! Style Icons… Kate Moss, Gwen Steffani and JLo. Kate’s got this effortless look. Gwen has a really graphic, smart punk look but she still keeps it street and JLo is like expensive street chic too. Stress buster… Watch a movie. I saw one the other day called Little Boy – it was fascinating. Natural remedy… Raw apple cider vinegar. It’s great to balance out the acid within your body, so I’ll have some before I go to bed or if I’m feeling a bit sick. Just a tiny bit, a sip, cleans you out.